Now that the chillier weather has set in, and I’m getting allll the holiday feels, I’ve decided it’s time to switch my bar cart essentials over to delicious, yet fall and winter-flavoured things that make a big difference in cocktail-making. As you’ve probably seen in the videos I shot for CB2’s IGTV (if you didn’t catch it, you can right here), switching up your simple syrup for more complex ones is a must! My go-to is maple syrup, but I also like sorghum and molasses, lending cocktails more density and richness (think gingerbread in cocktail form!). Easy recipes for every syrup imaginable here! Now that local berries, rhubarb, and citrus-y drinks featuring lemon and lime are sooo last spring/summer, really indulge in the interesting citrus you see at the grocery store to lend acidity to drinks. Tangelos, Blood Oranges, Pomelos, Buddha’s Hand, Kumquats (perfect for garnishing since you can eat the whole thing, skin and all! ), Ugli Fruit, and Finger Limes. In addition to being gorgeous, these fruits are a great conversation piece for holiday guests (Buddha’s Hand is especially aromatic and interesting looking), and can be INCREDIBLE garnishes. 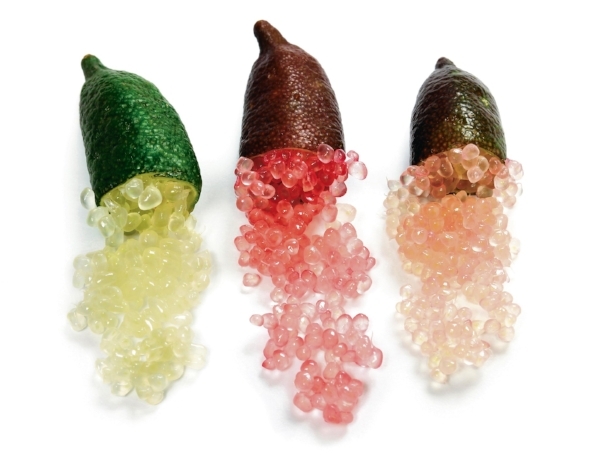 The Finger Limes are also known as Caviar Lime and is as stunning as it is interesting balanced artfully on a blood orange slice! Of course the best go-to for juicy autumn cocktails is cranberry juice! You can readily get cranberries and make your own juice by boiling with water, or you can get shelf-stable **100% cranberry juice from the store that is equally tart and bitter. 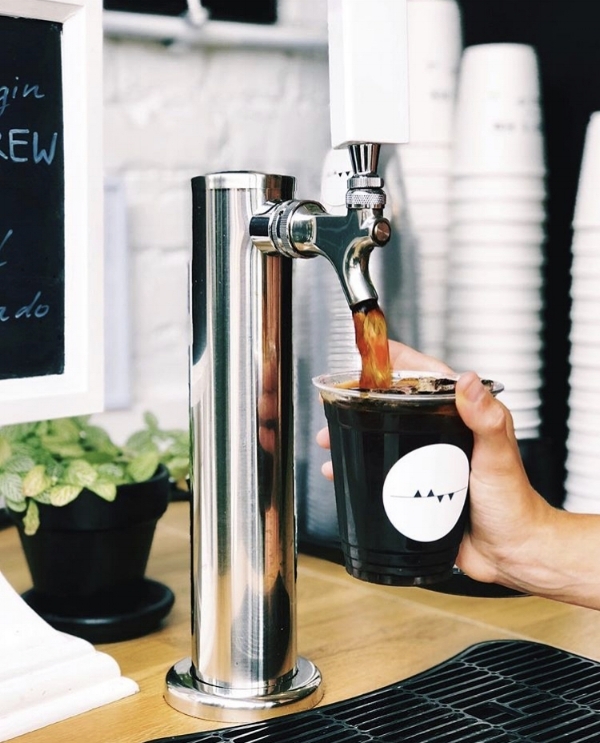 Another less common bitter add-in that is delicious in cocktails is iced coffee or cold brew coffee. In all of our classes we offer iced coffee from my friends and neighbours Dark Matter or Printer’s Row. The bitterness and astringency of the coffee pair perfectly in these drinks (which are perfect alternatives to other breakfast drinks)! Tis the Season to drink dark spirits, and you cannot go wrong with heavier Bourbons, Rye Whiskeys, Blended Scotch (my fave is Great King Street’s Artist Blend), Cognac, and Barrel-Aged Gins. For Low-Proof options, you cannot go wrong with making cocktails from Apologue Distillery’s Liqueurs, or of course, making your own take on an Aperol Spritz (did you know we teach classes in Rome now focusing on classic Italian cocktails?!). Buh-bye summer glassware and heeellllooo, Elegance! 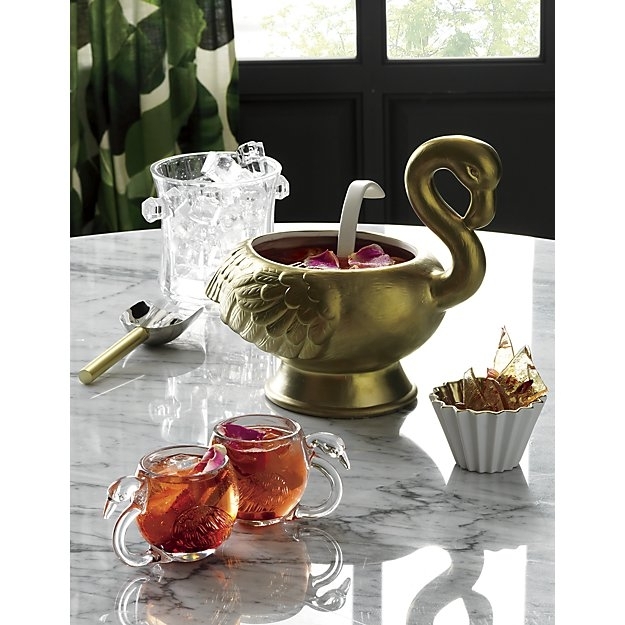 From Swan Glasses and fancy beverage dispensers, to chunky, heavy pieces and minimalists’ dreams, glassware this season is extra as hell, and I LOVE it! Check out these GORGEOUS martini glasses (I’d carry one of them around as an accessory) and glitz out this holiday season! Ditch classic bitters in favour of tinctures, the single-note flavouring agents steeped in neutral grain alcohol that add aromatics and flavour in your cocktails. My suggestions? Lavender Tinctures to boost floral notes and Ginger Tinctures to increase pungency. Paired together, they are an unexpected dream! Learn more about the difference between bitters and tinctures, on this episode of CB2’s IGTV Holiday Grand series!! Check it out here! Got other suggestions? Slip into my DMs at @HOLLOWLEGmixology on Insta!